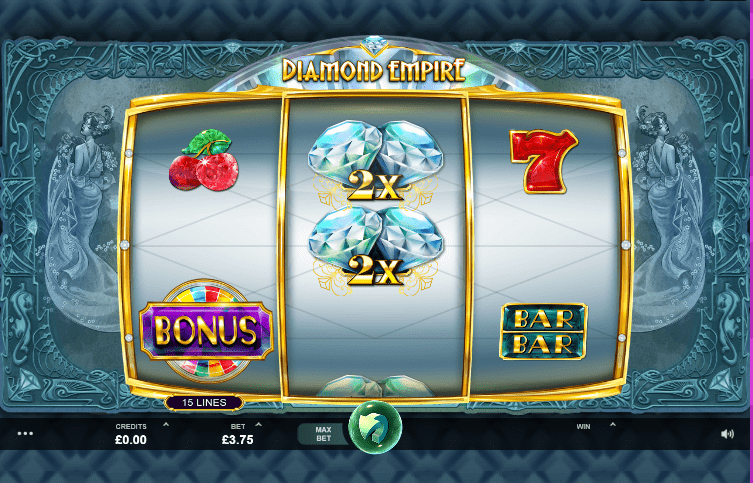 Diamond Empire combines the basic traditional in this recent slot games with the theme of a 1930’s jazz club. It has a classy design, some good aesthetics and features that keep you intrigued. It may not host the most innovative design or the biggest range of bonus games and free spins, but it is a great game for those looking for something quick, simple and open to all abilities and levels. It also comes from a developer who really know their stuff, so you’re guaranteed it will be to the best standard. In 1994, Microgaming developed the world’s first true online casino software and have since gone on to work with some of the largest gaming operators in the world such as bet365 and 188Bet. They have established themselves by winning some major industry awards including categories in the Global Gaming Awards and the EGR B2B awards. Packed with innovation, creativity and originality, Microgaming’s games include Jungle Jim and Temple of Tut, alongside branded games such as Jurassic Park and Terminator 2. Follow this link for more online slots. 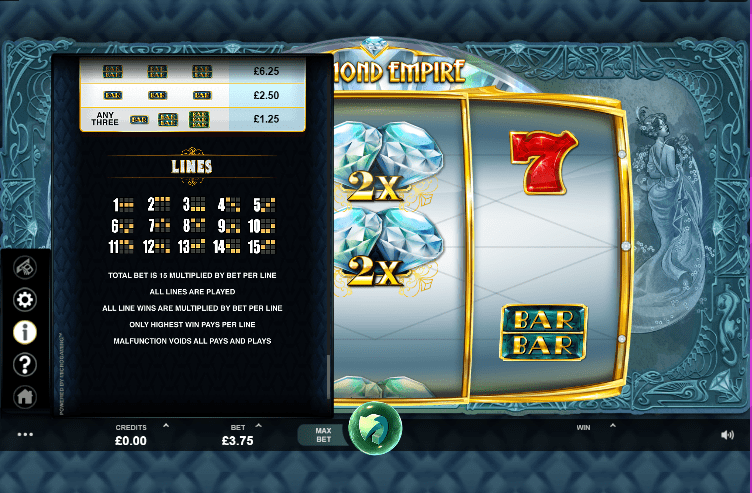 Diamond Empire is a 3 reel, 15 payline game. Bets can be placed from 15p to £15.00. It’s a simple game reminiscent of traditional slots and is ideal for beginners or those looking for something easy and quick to play. The design of the game is reminiscent of Noveau Art, and the images behind the reel are reminiscent of the 1930’s. The backdrop sets the scene of a jazz club, with a funky beat and pianos and trumpets. The symbols of the game are in keeping with the traditional theme of the game, from large numbers, boards with BAR across them, and some features keeping with the 1930’s era such as the diamonds. The lowest paying symbol is the Bar board, which will pay 5.00 coins for three of a kind. The highest paying symbols include the 7 which will pay up to 80.00 coins for 3 of a kind, and the diamonds which will award a whopping 10,000.00 coins for 3 in a row. * WILD – this is the diamond symbol and will replace all other symbols except for the scatter. 1 of these will double your win, 2 will multiply the win by 4x. The wild also has the potential to award up to 650x your bet. * WHEEL BONUS – this feature will be triggered by 3 of the bonus symbol (an easy one to spot). The bonus wheel will appear on the screen and will be awarded a cash price on its turn. If you’re lucky, you can get a win of up to 888x your bet. This simple game draws on classic slots along with introducing a subtle 1930’s jazz scene. The stakes aren’t the largest and it does not boast tonnes of features, but if you’re looking for something that’s simple, and offers a decent chance of increasing your winnings, then this is a good game to go for. If you like diamonds, then you should also check out Diamond Empire.